Many economists and mainstream pundits are baffled by this – the Trump tax cuts, a multi-decade low in unemployment, and an 18 year high in consumer confidence should have home prices and sales surging – right? Many who’ve studied the texts of the late Austrian economist – F.A. 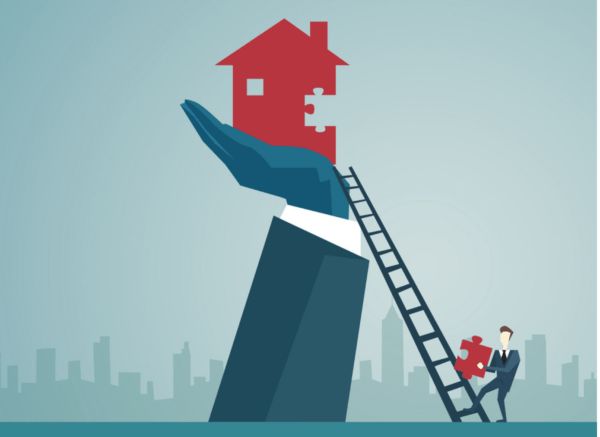 Hayek – knew that this weaker housing market was inevitable after the high growth years (browse through our Palisade Recommended Reading List to see his best work). Because of the housing bust and financial meltdown of 2008, the Federal Reserve engaged in ZIRP (zero interest rate policy) and money printing via QE to subsidize mortgage lenders, housing construction, and home prices. The low rates allowed many deep in debt (including corporations) to refinance and it also kept home prices from declining. Not too mention the increase in rent prices over the last decade (as hedge funds gobbled up homes to rent out) spurred in a boom in apartment construction. I live in Scottsdale and I see it every day – endless rows of freshly built and over priced apartments that are pretty much empty. This ‘boom’ though caused supply to soar. But demand matched it. And that’s what we’re starting to see. The upward trend in housing over the last few years is now stalling out – and soon will reverse downwards as prices drop. 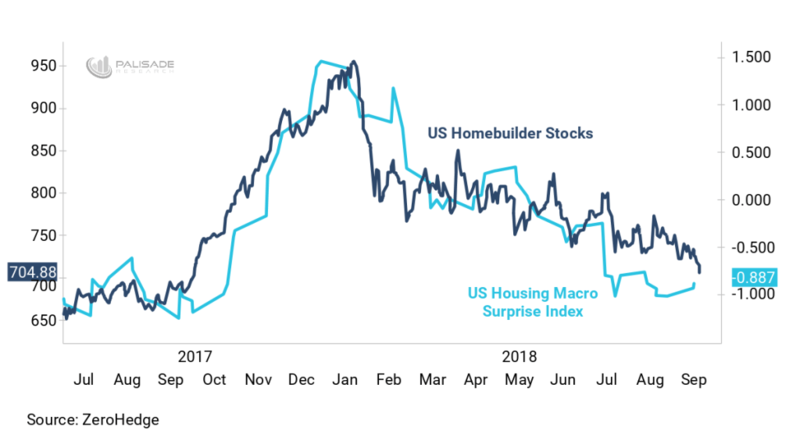 Just look at U.S. Housing Macro Surprise Index and U.S. Homebuilder Stocks Index – it’s declined tremendously this year. The S&P Supercomposite Homebuilding Index is down 21% year-to-date and on pace to be the largest annual drop since 2008.